Who won a trip to GDC Europe and gamescom? 5 months ago we’ve launched interstitial ads and we wanted to reward our early adopters. Therefore we’ve announced a contest to win all expenses paid trip to the largest game industry event in Europe – GDC Europe and gamescom. So every Windows Phone developer who added AdDuplex interstitial ads to their apps and games before the 15th of June had a chance to get this fantastic prize. Now the random generator has selected one lucky winner! We congratulate the creators of Real Speed Car: Need for Asphalt Racing and especially Konrad Karolczyk, who is going to GDC Europe and gamescom events on August 3-6 in Cologne, Germany! Thank you all for using AdDuplex! BTW, if you want to meet AdDuplex at this year’s GDC Europe or gamescom to talk about app growth or just say hi, then drop us an email at dominykas@adduplex.com. Let your app be promoted at BUILD! AdDuplex is hitting the road again and during the period of April 29th – May 1st, 2015 we will be in San Francisco. For the second year in a row we will be exhibiting in the biggest Windows Developer conference BUILD. And we’d love to meet you there! We are very excited to get this chance to meet many of you in person to share our ideas and discuss the possibilities of growing your apps and games together or just to say hi! You want your app to be promoted at BUILD? Send this information before 22nd of April and we will have your app showcased* at our stand during the conference! And if you are still thinking to integrate AdDuplex this might the best time to do it! Come meet us and together we’ll find the most suitable ways how to get more exposure for your apps and games with AdDuplex. Moreover we have prepared some goodies for developers who will visit us at our stand #213. So be sure not to pass by! *We reserve the right not to showcase your app if it doesn’t meet our subjective criteria. Recently we ran a contest to win a ticket to BUILD, the biggest conference for Windows developers, that will take place in San Francisco, April 29 – May 1, 2015. Now we are ready to announce the winner! tell us why you are the one who will get the most advantage from this great conference. Gladly we got so many warm and motivated emails starting with students and ending with major game developing companies. But on the other hand this made it very hard to decide who should get the ticket. When we got the first email from a prominent Microsoft MVP we thought that it wouldn’t be a good BUILD if this person is not there. But then we’ve got a few more from other well known MVPs and it became apparent that this couldn’t be the criteria. So we decided to look at it from another angle – select someone who provided the best argument on how they and their app(s) would benefit from attending the conference. So, without further due, we are more than happy to announce that the winner of this contest is Joe Fernandez! Congratulations! Thank you all for sharing your testimonials, opinions and experiences while using AdDuplex! We are working for your success. 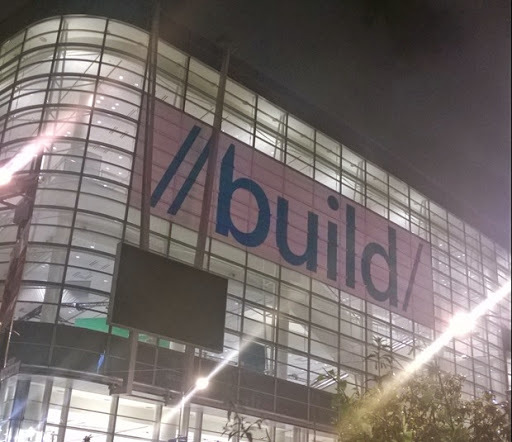 We are giving away a ticket to BUILD 2015! Second year in a row AdDuplex will be at BUILD conference that will take place in San Francisco, April 29th – May 1st, 2015. And we want to meet you there! We love developers. AdDuplex is built by developers for developers and we know how important it is to learn, discover new things and meet new people. That’s why we are giving away a MEGA prize to anyone who will love us back. The prize is a whopping $2095 ticket to BUILD, the biggest and coolest conference for Windows Developers in the world. To win this prize we simply ask you to share your testimonial, opinion, suggestions or experience while using AdDuplex and the reason why you are the one who should get the ticket. So what are you waiting for? Stretch your fingers and write to us 🙂 We’ll be waiting for your authentic and sincere emails at marketing@adduplex.com until 3rd of April. P.S. : keep in mind that we are giving away a conference pass only. All the other expenses are on you! So you have to be able and willing to travel and stay in San Francisco in order to participate. Sweepstakes are available worldwide except for countries or territories embargoed by United Nations. To be eligible you must have or create an account on AdDuplex. By participating in the contest you agree that your submission along with your name can be published publicly by AdDuplex. The winners will be selected and announced on April 7th, 2015. The winner must commit to attend the conference. The prize cannot be exchanged for cash or redeemed in any other form. If the winner cannot or doesn’t want to attend the conference a new winner will be selected. The winner will be solely responsible for paying any travel and accommodation expenses, applicable taxes, import and/or other duties in a country of his/her residence and getting a travel visa if necessary. The winner will be required to provide a copy of his/her official ID and/or passport and other required information to comply with requirements of tax authorities of the Republic of Lithuania. Big ads – big presents! And here goes the first one. We promised to give away a Lumia 1520 for 1 of the first users who add interstitials to their apps and games. First 10 developers published 12 Windows Phone apps and games on AdDuplex interstitial cross-promotion network. We randomly selected one winner and it’s the developer of drawing app Didlr! Congratulations and thanks for using AdDuplex! All these apps get a permanent 90% exchange ratio (which is 10% more than regular) as all other apps that join AdDuplex interstitial network by the end of February. And be sure to participate in our contest to win an all expenses paid trip and ticket to GDC Europe and gamescom conferences. Find more details about our sweepstakes here. Thank you all for using AdDuplex to promote your great apps and games! Welcome to the biggest contest that we’ve ever organized! We have recently announced a release of our new feature and from now on we are serving interstitial ads. This is a big step forward for AdDuplex and we are sure it will help you get even better results while cross-promoting your apps and especially games. Therefore we’ve prepared something special for you. We are running a sweepstakes to win an all expenses paid trip to GDC Europe and gamescom conferences that are taking place in Cologne, Germany in August. GDC Europe is the largest professionals-only game industry event in Europe. It will be held in conjunction with gamescom, the leading consumer show, creating a full week of activity and opportunity for the games industry. GDC Europe is the essential platform for learning, inspiration and networking for the creators of computer, console, handheld, mobile, social, and online games in Europe. So this will be a huge event and our users have a chance to attend it on us. The rules are very simple: every Windows Phone developer who adds interstitials to their apps and games until the 15th of June will be automatically entered into a draw to become a winner. We will randomly pick and announce the lucky one on the 1st of July. Moreover, everyone who adds AdDuplex interstitials before the end of February, 2015 will get a permanent 90% exchange ratio (as opposed to the regular 80%). This means that you will get 10% more impressions than other developers. The conferences will take place in Cologne, Germany on 3-6 of August, 2015. So book the date in your calendar and sign up to add interstitials to your Windows Phone apps and games. More information about AdDuplex interstitial ads here. To be eligible you must have or create an account on AdDuplex, implement the AdDuplex interstitial ads into your Windows Phone app or game and publish it to the official Windows Phone Store. Applications that served first AdDuplex interstitial ad between the February 10th, 2015 and June 15th, 2015 are eligible to participate in the “All expenses paid trip to GDC Europe and gamescom” contest. By participating in the “All expenses paid trip to GDC Europe and gamescom” contest you agree that your submission along with your name can be published publicly by AdDuplex. The winners will be selected and announced on July 1st, 2015. The prizes are listed in competition description. The winner will be solely responsible for paying any applicable taxes, import and/or other duties in a country of his/her residence and getting a travel visa if necessary. Disclaimer: the campaign is organized by UAB AdDuplex exclusively and is not affiliated or endorsed by GDC Europe, gamescom or other third parties in any way. 16 AdDuplex Birthday contest winners! Last month we were celebrating our 4th Birthday and to spread our joy we promised 4×4 Birthday present package for our users. We asked you to tell us for how long you’ve been using AdDuplex to cross-promote your Windows or Windows Phone apps and games. We were glad to receive plenty of #HappyBirthdayAdDuplex tweets. We will contact each of the winners in person. Congratulations for the winners and thank you all once again for using AdDuplex to promote your apps and games. We wish more and more users for your apps and games and more and more new members on AdDuplex cross-promotion network for us! Woot woot! AdDuplex turns 4 this week! On 17th of January, 2011 we opened the doors of AdDuplex for the first time and invited our first users. By now we are a network of more than 9,500 active apps that serve 30M+ ads daily. The road wasn’t easy and we’ve learned a lot. Today we are really happy and excited about that and would like to share our joy with our users as we are live for 4 years now because of you all. Happy Birthday to Us – Presents for You! Birthday contest will end on January 31st, so be sure to submit by then. We promise a retweet to everyone just don’t forget the hashtag. We will randomly pick the winners and announce them in the beginning of February. We say THANK YOU to all of you whether you’ve joined AdDuplex 4 years ago or 4 hours ago. Last year was great for us and we believe upcoming year will be even better. Wish you all the same! *F.e. if you show 10,000 ads in your app during February, your ad will be shown in other apps 40,000 times. So it is time to announce the winners of our final Special Challenge of 2014. But first let’s look back and sum up the outcomes. Back in March we announced our first Every Phone They Make Challenge to show our gratitude and encourage Windows Phone and Windows app and game developers to join AdDuplex cross-promotion network to get more exposure for their apps and games for free. During these 10 month we rewarded 30 great developers and Windows Phone enthusiasts. Once again thank you all for using AdDuplex! We wanted to make our final Special Challenge of the year as simple as possible. Therefore the only thing you had to do to apply was to tweet or retweet our special posts. And as it was expected the tweets were rolling in like crazy! This time we congratulate Matthew! He has chosen Nokia Lumia 930 as his prize. Enjoy your new device! We had a great year and hope you did too. We wish you the 2015 to be even greater! The idea of our monthly challenges is to show our gratitude and encourage Windows Phone and Windows app and game developers to start using AdDuplex cross-promotion network. Last month we challenged Windows Phone GAME developers. Every game that was published through AdDuplex cross-promotion network during November and has at least 100 reviews and the rating of 3.5* or more in the Store automatically participated our challenge to win HTC One (M8), Lumia 1520, Lumia 930 or Lumia 830. From all games that comply with the requirements we randomly chose the winner and we congratulate Bradley Wesson and his challenging game Do You Even Drift. Enjoy your new Nokia Lumia 1520! And thank you all for using AdDuplex cross-promotion network to advertise your apps and games for free! Be sure to check out our last challenge of the year. This time we made it very simple.